Canine distemper virus infects dogs and other mammals, including ferrets, but does not infect cats. Dogs of all ages are susceptible if not previously immunised, although infection is most common in puppies less than 16 weeks of age. Vaccination is your dog’s best protection. There is currently no available medication that can destroy the virus that causes canine distemper. Rather, supportive care is the mainstay of treatment. Veterinarians can offer intravenous fluids to prevent dehydration and antibiotics to ward off secondary infections while the infected dog builds up his immune response. Some dogs are able to survive the infection, while for others canine distemper can be fatal. Canine distemper virus is shed through direct contact with fresh urine, blood or saliva. Sneezing, coughing and sharing food and water bowls are all possible ways for the virus to be passed on. The virus can be shed by infected animals that are showing only mild or no clinical signs yet. If a dog survives a distemper infection (and this is rare) he or she can still shed the virus for up to three months after they have recovered. Once infected, dogs are severely weakened. Often the virus travels to the brain, causing seizures shaking and trembling. A weakened immune system leaves an infected dog open to secondary infections like pneumonia. What must I do if I suspect distemper? See your vet immediately! The virus spreads rapidly and must be aggressively treated as soon as it’s discovered. 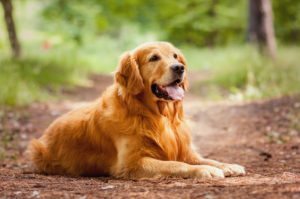 How do I protect my pet against distemper? Most vets recommend starting puppy and kitten vaccinations at six to eight weeks (depending on the mother’s vaccination status) but chat with your vet first. The first vaccination usually involves what is called a 5-in-1, a vaccination that covers five core diseases, including distemper. A second round of vaccinations is required at 10-12 weeks, a third at 12-16 weeks and then once a year thereafter. Be sure to keep your dog away from any possibly infectious dogs or environments (parks, areas frequented by unvaccinated dogs, kennels) until he’s finished with his vaccinations at four or five months old. 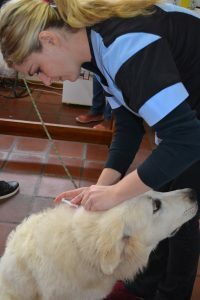 Vaccines are most effective in a healthy animal so before your pet is vaccinated, the vet will give him or her a thorough examination, checking temperature , listening to their chest and palpating their abdomen and make sure that he or she is free of parasites like ticks and fleas and worms. Always make sure your pet is vaccinated by a qualified veterinarian at a veterinary surgery as vaccines are very volatile and a strict cold chain protocol must be adhered to in order for the vaccine to be effective. Feeding your pup or kitten quality food from the day he or she moves in with you also greatly improves your pet’s immune status making the vaccine’s work a lot simpler. Spread the word. Encourage your friends and dog owners you might meet in the park to have their pets vaccinated.